The anxiety, stress and fears that were building up from his work, finally had overtaken Chad. “I felt as if I were losing all sanity and would either crack or my body would stop functioning and I would die. Panic attacks became the new norm for me.” Desperate to be the “cool guy” again, Kathy and Chad opened an MMA school, ran it as a family business, and Chad trained as a Pro MMA Fighter. The school flourished as did his fighting career, but he was living a lie. “My house was not a happy place and my wife and kids were frightened of me,” reveals Chad. He took his family to church on Sundays, but stayed away from building friendships with men in the church for fear of exposure. Kathy and Chad lived separate lives in their own home. Terrified of his mental health condition, Chad stayed busy as possible chasing a false god of success and the temporary high of a moment in the spotlight. It didn’t take long for Chad to turn outside of his marriage for attention and relationships with other women. His so called “friends” enabled his destructive lifestyle. Chad really wanted someone to tell him to stop, but he found himself alone and without accountability. After separating from Kathy, Chad recalls one day when he cried uncontrollably as he realized the reality of the choices he had made and the wake of destruction he had left behind. He was overwhelmed him with guilt and contemplated suicide in his desperation. Chad asked God to restore his feelings and take away the bitterness that had consumed him. Then he called Kathy and asked her to come home. He was a changed man and ready to fight for his family and marriage. Although it took more than a year to restore his relationship with Kathy, he is so grateful that he fought for his family. “Kathy and I are blessed to be part of a covenant marriage where we are united with a sovereign and loving God who is with us for eternity,” shares Chad. At seventeen, Kathy met Chad, a young U.S. Marine who was mature and gave her the security she longer for. He made her feel important and she put him on a pedestal. A year later they married and by the time she turned 22, Kathy had three children. Chad was gone for many months at a time serving as a recon marine in the War on Terror. Meanwhile, she was at home taking care of the kids and the finances. After eight tours in Afghanistan, Chad was diagnosed with severe Post Traumatic Stress Disorder (PTSD). His behavior began to destroy their marriage as he struggled with rage and unfaithfulness. Kathy and Chad sold their house and separated. During their three month separation, Kathy admits she was not really praying for her marriage to be restored. In fact, she had already filed for divorce. She believed their relationship was over as a result of Chad’s actions, but felt convicted to pray for him. Kathy says she didn’t know how or what to pray for until she began reading a book by Stormie Omartian entitled, The Power of a Praying Wife. She began to pray for specific areas in Chad’s life that he needed to change, such as his temptations. Then she had to read the first chapter – the one she had skipped – which forced her to look at her own faults. “As I faithfully trusted God to help me get through the pain, he gave me the ability to begin to forgive Chad. I would never have been able to truly forgive Chad without humbling myself first and accepting my own faults for our failing marriage,” shares Kathy. Chad called Kathy and told her he wanted to come home and would sleep on the porch if necessary until he could earn her trust back. When he came home he was a changed man and “willing to fight” for their marriage. Chad had learned how to put the Lord first in his life with the help of a mentor. However, Kathy was still afraid to trust Chad again because of his destructive and selfish behavior. As Kathy tried to heal she would often lash out at Chad for what he had done to their family and her, but instead of getting angry and defensive, Chad would hold her and pray for her. “I was not quick to forgive or easy to deal with, but Chad stuck with it anyway and he did it with love, patience, and grace,” shares Kathy. 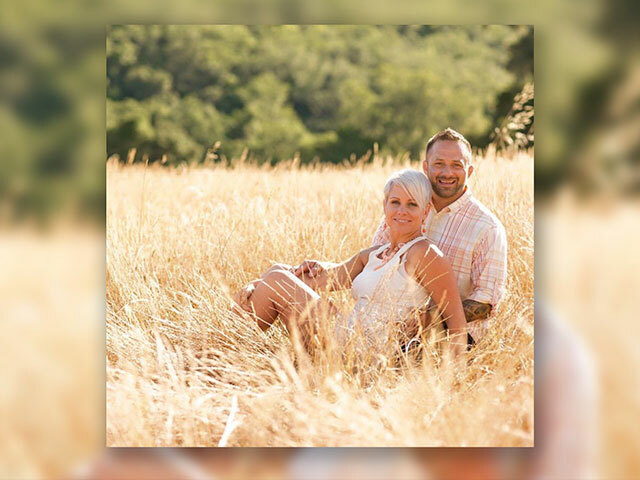 After overcoming the challenges of Post Traumatic Stress Disorder (PTSD) Chad and Kathy began helping other individuals who are going through the same struggles. Together they formed the Mighty Oaks Foundation which began as a ministry out of Woods Edge Community Church in Texas. The foundation offers intensive peer-based discipleship through a series of programs, outpost meetings, and speaking events at multiple locations nationwide. All instructors are program alumni. They each have experienced tragedy and hardships through their service to America having endured deployments and family separations and have learned to handle the effects of PTSD (both in war and at home). Today, Mighty Oaks continues to receive active duty warriors on official orders from the different branches of the military, as well as veterans and spouses at their programs. Additionally, the Mighty Oaks Alumni Corps help to establish pre and post care “Outposts” across the country. Since 2011, Mighty Oaks has served hundreds of warriors and they have not lost one alumni to suicide. They continue to work toward ending the national veteran suicide statistic of 23 service members per day. CHAD’S STORY In 2007, Chad returned from Afghanistan a broken man. “One day I was the golden boy of an elite military Joint Special Operations Task Force, doing what I believed to be the most important mission in the war on terror and the next, I was benched…I was diagnosed with Post Traumatic Stress Disorder. (26 week testimonial based marriage workbook for couples)In the face of adversity, we can easily be convinced there is no hope. How sad for so many couples to give up on their marriages before they ever have the chance to experience the marriage God planned for them. Pro MMA Champion competed in NBC's WSOF, Showtime's StrikeForce, etc.